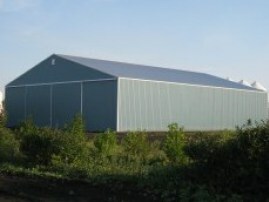 At Wizer Buildings we offer various types of building options. 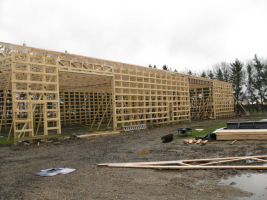 These range from supplying building materials, to supplying complete packages, to COMPLETE BUILDING SOLUTIONS where we supply, deliver and erect your custom designed building. All of our buildings conform to the National Building Code of Canada. 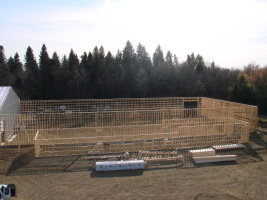 To get started on YOUR new project, contact us with your plans or request a quote online. 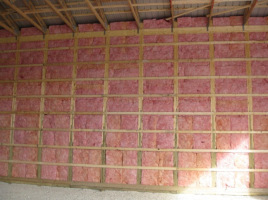 Insulation type and value vary depending on the requirements for the project. Our standard ceiling insulation is R50 cellulose (fibreglass available upon request), and our walls can be insulated up to R35. 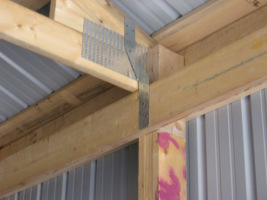 All our insulated buildings have an air barrier installed under the metal on the exterior of the building.